The First Chapter Completed in Funding our Schools? Maybe not for Tucson. 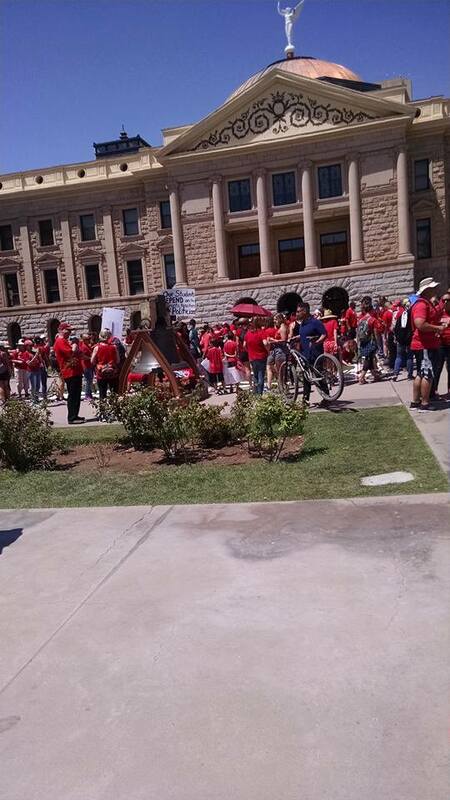 Walking around the state capital late this morning, there were universal signs of enthusiasm, passion, and unity among the supporters, dressed in red, for increasing school funding. People held signs advising gatherers to remember the November elections and the need to vote in people who will finish what started this week. The well-organized and very visible Superintendent of Public Instruction campaign of David Schapira, with signs and volunteers throughout the capital park, joined with the forces promoting the Invest in Education Ballot act, collecting signatures. The leaders of the Red for Ed Movement were not letting up, with leaders like Noah Karvelis telling reporters what will happen next. Not satisfied with the budget that passed today, district union representatives were telling their people from their districts that the fight must still go on after a week of rest and returning to the classroom. These representatives encouraged teachers to collect signatures for the Invest in Education Ballot Initiative, by collecting at least 200,000 signatures so 150,000 will be validated. They also said that they needed to work towards electing public school advocates this November, no matter which party they belonged to. 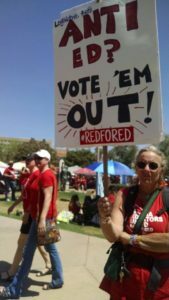 The one area of immediate concern expressed was when a few of the educators fr om Tucson relayed that their districts may not reopen for a couple of reasons. First, they are justifiably not happy with how the support staffs have been treated. 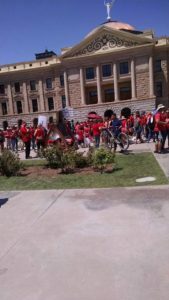 Second, they are understandably furious that Pima County, unlike Maricopa, did not have their property tax increases in the budget taken care of by the state government. Saddled with this increase, net instructor raises would be minimized and support staff would receive a net cut in their salaries. 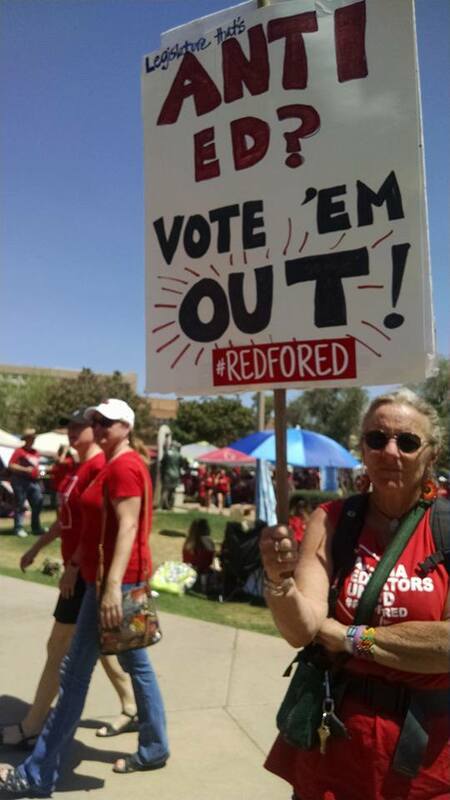 What will happen in Tucson and the other Pima County District Schools will be revealed later. It is important that the Red for Ed Movement stick together and work to correct this imbalance this county is beset with as well as the other funding issues not addressed in this budget. It is six months to November and there is a lot of work to do. Next articleSine Freakin’ Die Already, Why Don’t Ya’?